I suggested to Karen that the 'ADI' subtitle should be 'resized' to be the same as the Photography subtitle. This was carried out in order to gain greater consistency not only on the door magnets, but for the remaining elements i.e. business cards. The ADI was then pushed over the right, underneath the leg of the 'k' in the same place as the ending of the 'photography' subtitle. 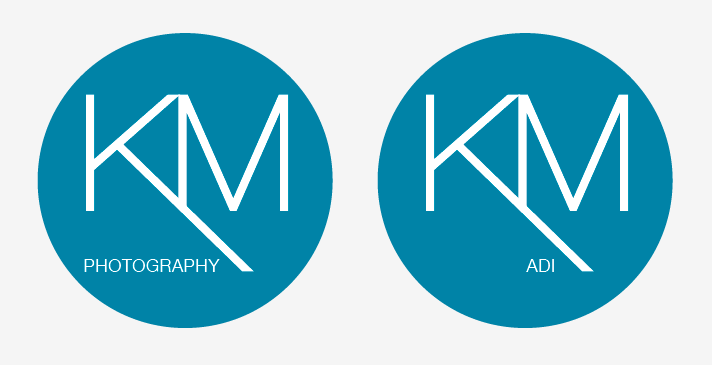 Karen also felt this worked much better, and the below two logos have been decided to be used throughout the remainder of the branding.